A non-refundable booking fee of 50% of your package total is due in order to reserve your date on our calendar. This is applied toward your total payment. The remaining balance will be due no less than 2 weeks prior to the event date. WHAT IF I HAVE TO CHANGE MY EVENT'S DATE? Any request for a date change must be made in writing at least thirty (30) days in advance of the original event date. Change is subject to availability and receipt of a new service contract. Cancellations occurring less than thirty (30) days prior to the event shall forfeit all payments made. Cancellations prior to 30 days will have their booking fee remain on account for use toward a future event. Should we be able to rebook your original date, we would gladly refund your booking fee after completion of that event. ARE THERE ANY TRAVEL CHARGES? There are no additional fees for any event that is within 60 miles of 54501. For events located more than 60 miles away, a travel fee of .75 per mile will be applied. This space required is directly related to which package you select or what custom build options we have devised together. Our smallest package can easily fit in a 6’x 6’ space while some larger options can be as much as 15’x 15’ or even 20’x20’. As you are determining which package works best for you and your venue we will work with you. We are always happy to do a venue walk through with you and/or your planner to make sure we get the perfect fit. HOW MUCH POWER IS REQUIRED? The photo booth must be located within 30 feet (along a wall) of a standard 110V, 10 Amp, 3-Prong electrical outlet. The circuit containing the outlet must be free of any other loads. This means we should not be on the same circuit as the DJ. WHAT IS THE "SERVICE TIME"? The service time is the duration that we will be open and operational to your guests. For example, if you book us from 6pm-10pm you will have 4 hours of service time. We arrive 2 hours prior to start time and tear down takes around 45 mins-1 hour. So in the above example, we would arrive at 4:00pm and depart around 11:00pm to allow us to operate from 6pm-10pm. CAN THE BOOTH REMAIN IDLE? During “idle hours” the service time you purchased is paused. This means if you would like the photo booth closed during dinner it would not impact your service time specified in your package. Idle time is available at the rate of $50 per hour, although many packages already have some amount of idle time built in. Cash, Check*, Credit/Debit, and PayPal are all accepted. *All checks must clear 2 weeks prior to event. We strive to make working with us as easy as possible. Once your booking fee is paid however you would like to structure payment on the remainder of your invoice is entirely in your hands. We only require payment in full by 14 days prior to your event. WHAT DOES "UNLIMITED PRINTS" MEAN? Our definition of unlimited prints is that if 4 people enter the booth, then we print a photo for each of the 4 people in the booth. Additional copies may be printed as time allows. All photos are made available within 48 Hours online as well. DOES IT COME WITH A PHOTO ALBUM OR GUEST BOOK? We offer multiple options for memory books or guest books. Some of the packages already include this option. CAN YOU CUSTOMIZE A LOGO OR BACKDROP FOR OUR EVENT? All packages include a custom photo strip design. Custom green screen backdrops can be designed as part of your package. Printed custom backdrops can be done when there is enough lead time and for an additional fee. Every professional you hire for your event should have Liability and Insurance for their business, their equipment, and their workers. Many venues require event professionals to have insurance in order to work on the property. We are always prepared to share our proof of insurance should your venue require it. What is everyone always told? “It never hurts to ask.” The simple answer to this is no. We have worked extremely hard to build our premium offerings. The people who seek us and hire us appreciate that about us. We would never insult them by having them pay full price and then giving the same service to someone else at a discount just because they asked. See previous question. In addition to honoring the investment our customers have made in our services we have also found that “price match” and “service match” often do not line up at all! All photo booths are not created equal. Ask what kind of camera, printer, and lighting equipment the competitor uses. Anyone who is a professional in the industry will use industry-level equipment. Industry level equipment includes DSLR cameras, dye-sublimation printers and professional lighting. If the competitor is using and ipad or webcam for pictures it just simply isn’t a comparison. If they are using and ink jet or a selphy printer it is, again, not a comparison. Also, ask for pictures of their set-up from previous events. Many “hobbyist companies” never post pictures of their set up at an event. That should be a red flag. If they knew it looked great they would be happy to show it off. We have tons of pictures of our set up because we are proud of it and we know people are always delighted by it. If you want further proof of the differences in how booth set ups can look, ask us about our Bad Booth File. Midwest Selfies provides first class photo booth experiences and image marketing solutions for Wisconsin and Minnesota. 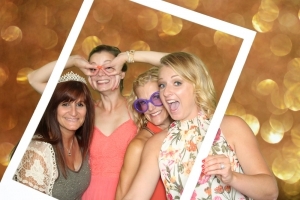 We are proud to offer luxury photo booth experiences using top of the line technology, elegant positioning, first rate attendants, custom graphics and an unmatched commitment to your satisfaction and delight. Quality comes at a cost. We have all heard the adage that “you get what you pay for”. We have invested in top of the line equipment and will not cut corners on your experience. We are confident that after your event you will fully appreciate the value of your Midwest Selfies experience. Your once in a lifetime or public branding event is when you most need the professionalism, experience and commitment we bring to your event. Our services include formal event photography, an ultimate photo booth experience with an amazing prop selection, glam booth, head shot booth, social only booth, brand activations, marketing data capture, GIF/Boomerang, video, slo-mo video, red carpet and roaming photo booth. Because of our commitment to your satisfaction we gladly welcome the opportunity to build a custom experience for you and your event.